Using your cellular phone at home is the simplest way to cut the cord as long as you have reliable coverage. You only pay for one phone for calls both in and away from home, and normally you can make free Long Distance calls from almost anywhere. Your number stays with you, and you can also use cellular as your connection to the Internet. Several cellular carriers now offer a device specifically designed to make your wired phones work like "normal" home phones but using a cellular connection. In most cases, they provide a unit that sits on a table or wall and the calls are completed by a wireless connection to the nearest cell site. In most cases you can plug in all of your existing phones, both cordless and corded. You pay a monthly fee and, like a cellular phone, all the popular calling features are included like Unlimited Calls, both Local and Long Distance, Call Waiting, Call Forwarding and Voice Mail. This is not a new concept but these units are now being offered by the cellular carriers themselves with quite reasonable rates...some as low as $15 per month. The Steps for Switching are the same as cellular. We have links to these specific Wireless Home Phones. You get software and/or hardware from the provider and attach it to your broadband connection. In most cases you have a wired connection and lose the portability of Cellular. You can make free calls to people with similarly-equipped computers ("computer-to-computer") and discount calls to any normal phone number. Some allow a wireless connection to use a cordless phone around the house, otherwise, you need to plug the phone into your computer or modem. Broadband from your cable TV company provides both the ability to access a broadband supplier and a "normal" phone connection. Some online services offer a "follow me" service that allows you to program what incoming calls go to what phone at what time. 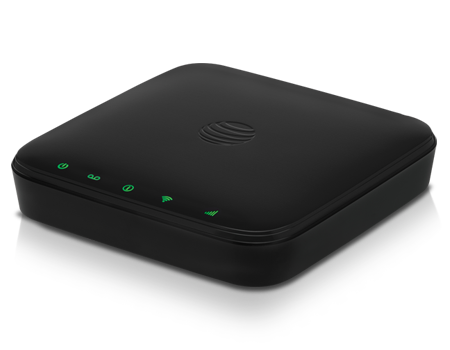 You can buy a small box from the wireless carriers or secondary sources that accesses a cellular network and re-distributes the Internet through a Wi-Fi connection to several devices. This can be an external box or a small USB adapter that plugs in to your desktop computer or laptop. These plug-in devices can be moved among equipment and locations. Carriers and re-sellers offer special plans for these adapters, usually with Unlimited broadband usage with 4G LTE speeds. A single box connects your home phones and online devices through a wireless connection. Connection to your computer and other devices is made through a wi-fi connection. Many tablets offer the option of accessing the Internet directly, both at home and away. Many wireless carriers and re-sellers now offer special tablet plans with Unlimited broadband access often at 4G LTE speeds. While some devices need to have internal circuitry that will work with cellular broadband, others can accept just a SIM or USB plug. You can use a Smart phone for all of your internet activities at home including accessing a printer and other conveniences. Some Smart phones offer "tethering" which enables you to connect a computer or similar device to the Internet through a Wi-Fi connection provided by the Smart phone. Some wireless plans and some carriers restrict tethering capability. It sounds like it should be available anywhere but you still need a cellular connection for the uplink. It may work in a location where other things have failed and it can be bundled with satellite TV service. Many of us have accessed a neighbor's Wi-Fi, at least until they password-protected the signal. Why not offer your neighbor a small fee to share their access codes? Also, they may be more willing to move their wireless router closer to you, improving your signal and possibly your download speeds. Yes, it seems silly, but you can get broadcast TV channels Free, often with the simplest antenna. Over the air TV is truly High Definition, usually better than heavily compressed cable and satellite channels. Many TV antennas are small enough to fit on a bookshelf or hung on the wall. Some outdoor TV antennas can be mounted discretely on the side of the house instead of on the roof. Since 2009, US TV signals have been digital and usually broadcast in HD. If you watch mostly news or network shows like "The Big Bang Theory," this may be all you need. Over-the-air broadcasts work with DVRs like TiVo, which nicely blends live TV and Internet streaming services. Your experience may vary depending on how far you live from broadcast towers. To see what an antenna can do for you, start by typing your address into the site tvfool.com, which plots what broadcast channels you should be able to receive and where to direct your antenna. You can start with a simple antenna based on your distance from broadcast towers. You may be surprised how many channels you can get. Some 'cable' channels offer their video free over the Internet via apps or by simply visiting a web site. Those channels include many of your local broadcast stations, each of the broadcast networks and paid services. In some cases, you can't get the service for free, or even paid, so on the your smart phone...you need a "Log in." What about the channels that refuse to sell streaming access? Many networks restrict Internet access to cable TV subscribers, locked behind a Login. Some claim the economics of selling direct online access doesn't work, although this is changing. Some cable cutters deal with this by "borrowing" logins. It's one of the moral gray zones of being a modern digital consumer. HBO and ESPN say their services are meant only for use by one "household," but they don't seem to be keeping people from sharing. Most channels allow at least three simultaneous streams. They don't check that you live together or cut you off for using it in different corners of the US. You may be able to legitimately use a Login from a second home, a subscribing organization or your employer. Logins are used by both cable and satellite TV providers. Sometimes a subscription to one supplier gives you wireless access to another video service. As an example, subscribing to certain brokerage services give you Free access to business video streams such as CNBC. Subscribing to satellite TV service is pretty much paying for cable without the cable. If you want to totally end your relationship with the cable company you can get both cable channels and Internet service from satellite. Satellite TV services are also available virtually anywhere which means you can get cable TV channels where cable won't go. You're still dealing with a "cable-like" company, but it's truly 'wireless', and there may be a bundle discount with your other wireless services.